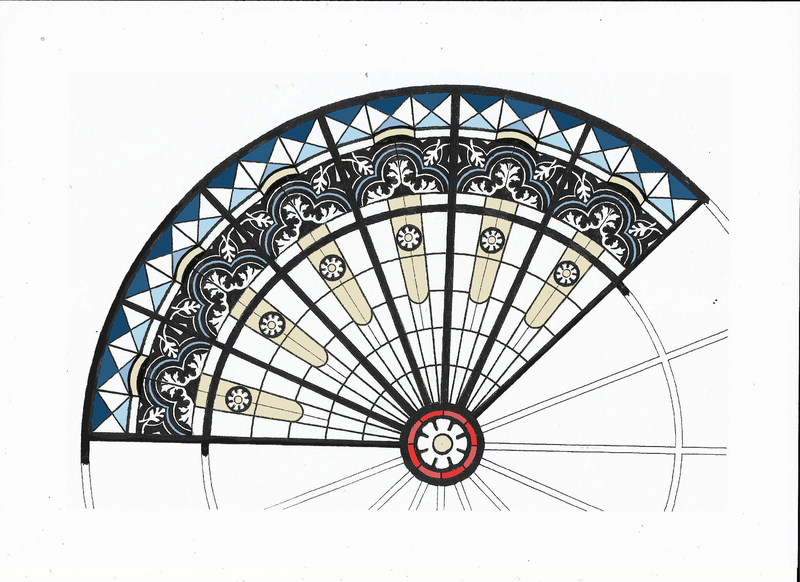 Following a lengthy client consultation period, we are extremely pleased to have finally receive approval for this design for a new 3 metre diameter stained glass dome commission. 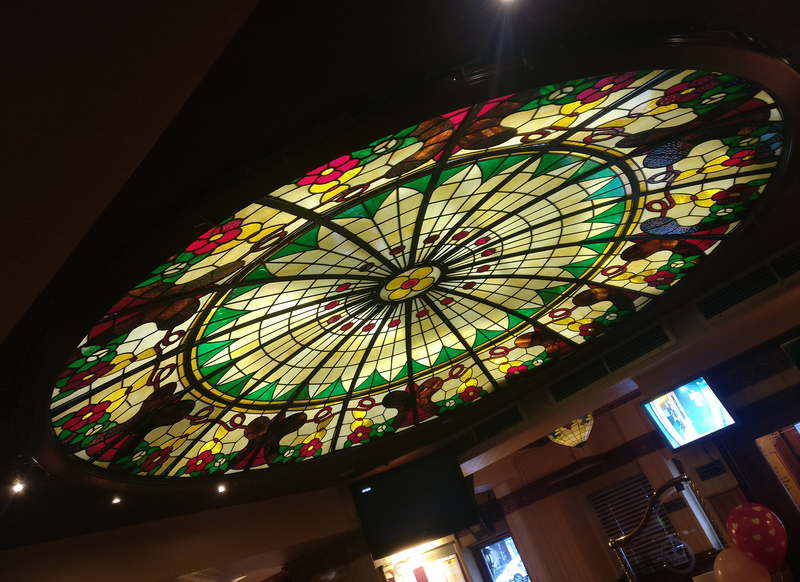 The finished piece will replace an existing stained glass dome as part of a major refurbishment of The Regency Club restaurant in Edgware, London. The initial brief was to create a “fresh, clean, more simplified design” that would tie in with the wider refurbishment including its use of traditional style Victorian floor tiles. The client was also very keen from the outset to make use of a large quantity of white glass. Our approved design was eventually reached following numerous initial sketch proposals and revisions. Throughout this process, restaurant owner Rahul and designer Jimi Pearce were heavily involved; taking care to ensure they were 100% happy with every detail. Production of the 33 panel, 780 piece commission is currently underway with installation set for early September 2018. Our images show the approved design and the existing stained glass dome.